StonePly is featured on materialicious.com! Materialicious is a user-created/submitted content site featuring architectural materials and products. StonePly – Real Stone. Real Strong. Real Thin. StonePly natural stone panels are thin stone panels laminated to an aluminum honeycomb backing using aviation epoxies. 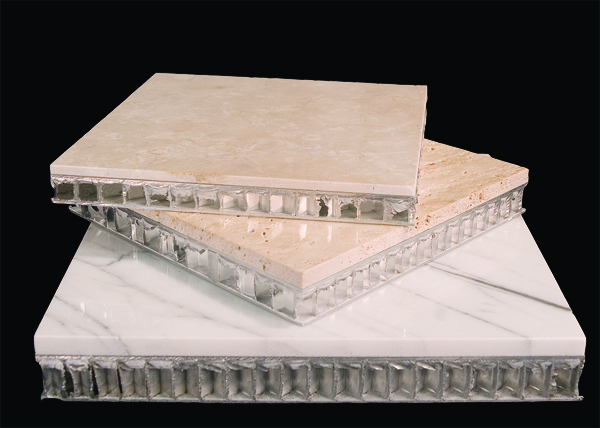 The process starts by laminating aluminum honeycomb sheets to both sides of a stone slab. Then we saw the slab in half producing two panels. The panels are then sanded down to the required thickness and then polished. Typically, StonePly Panels are 3/4″ thick (1/4″ stone and 1/2″ honeycomb).